As far back as 1905 local gamblers were planning to circumvent local, state and federal laws by launching a fleet of floating casinos. 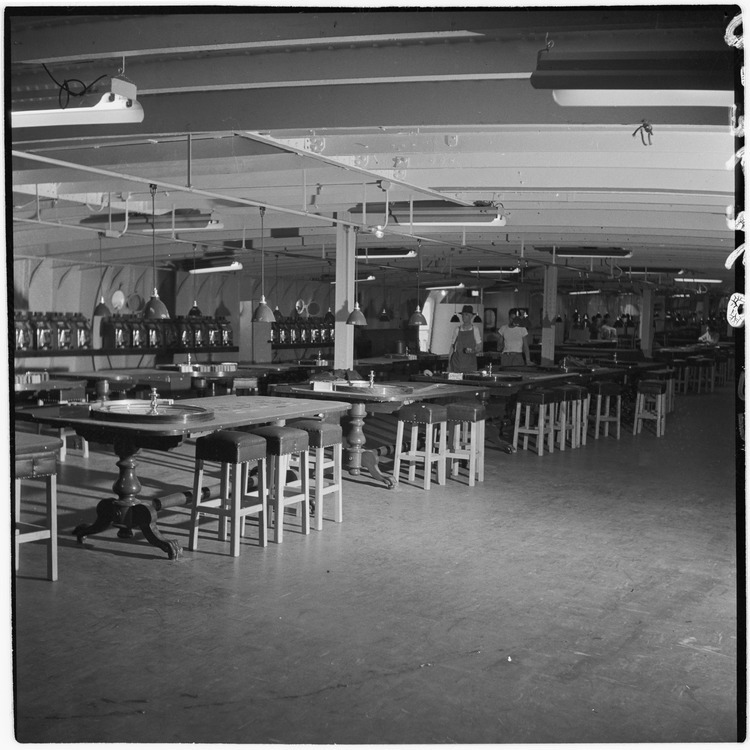 In the summer of 1927, Spring Street gambler Tutor Scherer experimented with an unnamed fishing barge equipped with gambling paraphernalia and was promptly raided by George Contreras, then an investigator for L.A. County D.A. Asa Keyes. Scherer sued, challenging the authority of county law enforcement to intervene in the ship’s operation, which he asserted was outside their jurisdiction. He lost the case. Nevertheless, the following summer saw the launch of a bonafide gambling ship, the Johanna Smith. When local officials failed to shut her down, U.S. Marshals got involved, citing a long disused law from 1793 about “pirate craft” to seize the vessel and tow her to port. A second ship, the Monfalcone, followed in November 1928. 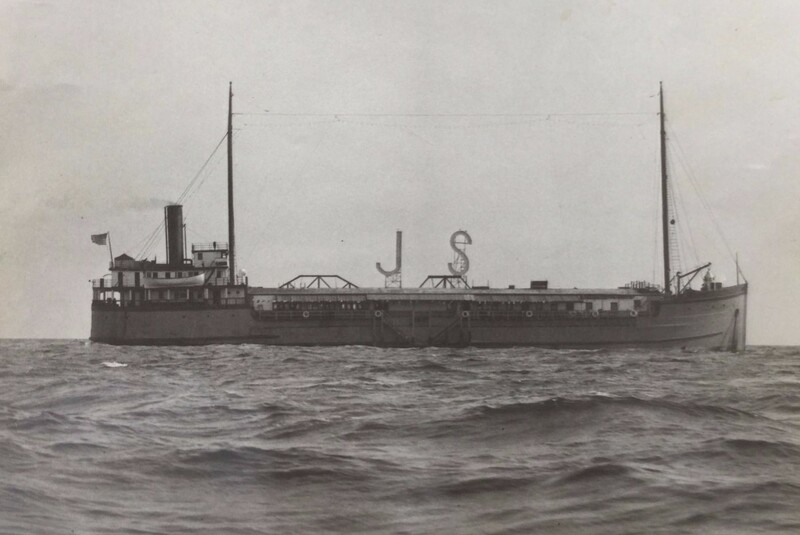 The Johanna Smith at sea. A mysterious explosion destroyed the Monfalcone on August 31, 1930. In October, West Coast papers were reporting that Tommy Jacobs, former Ship Cafe managers, now the supposed “owner” of the Monfalcone, and Spring-street gambler “Farmer” Page had purchased a former passenger liner Rose City, operating out of Portland Oregon, to replace the Monfalcone. She was renamed the Rose Isle and outfitted as a gambling barge. Soon the Rose Isle was mixed up in the odd “kidnapping” of Spring Street gambler Zeke Caress. D.A. Buron Fitts used the incident as the excuse he’d been looking for to raid the ships, and found machine guns aboard the vessel. In 1932, Los Angeles hosted the Summer Olympic Games. It was a boon time for the gambling ships, with three operating off the coast of Long Beach: In addition to Rose Isle and Johanna Smith, there was a newcomer, the Monte Carlo. Also, the S.S. La Playa offered passengers a “cruise to nowhere” out of San Pedro, with dining, dancing, and “alluring games.” At the height of it all, in July, there a murder on the Rose Isle, and the Johanna Smith was wrecked in an explosion. Her replacement, the Johanna Smith II, launched the following month. 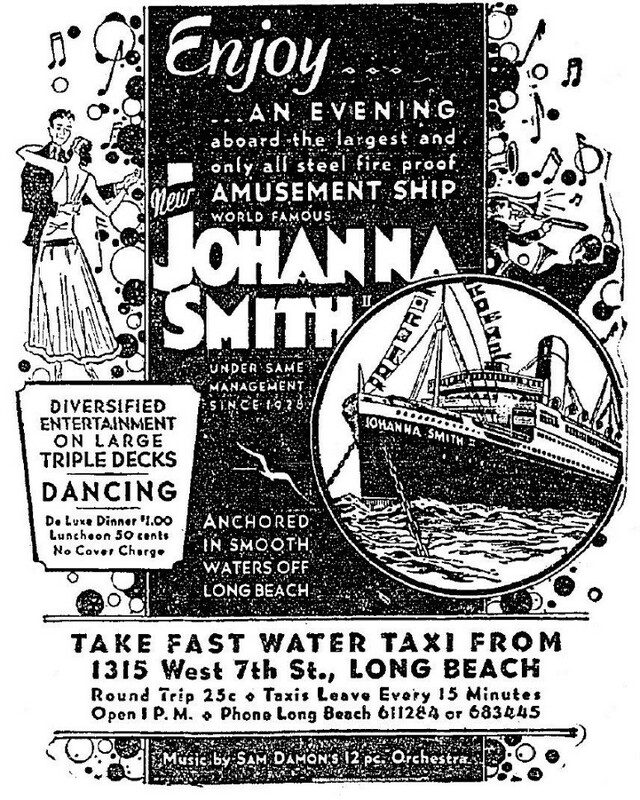 Ad for the Johanna Smith II, August 1932. 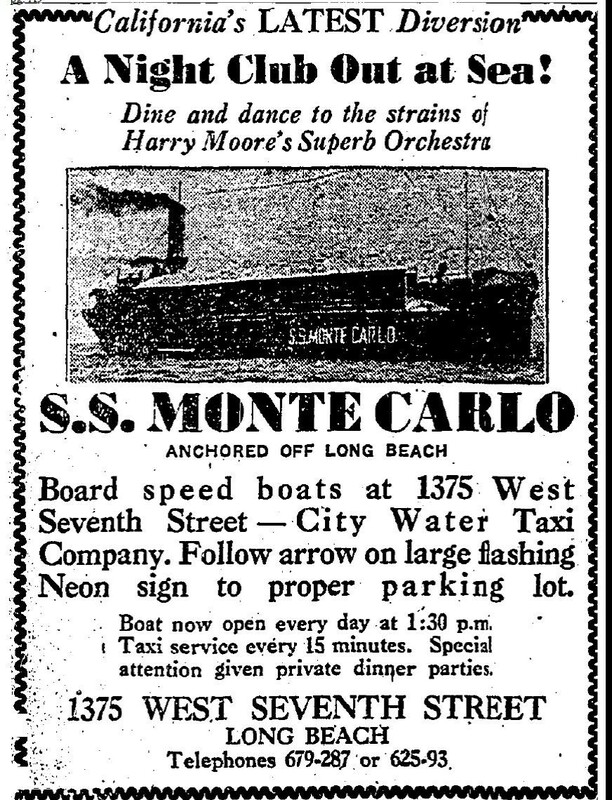 July 1932 ad for the California’s latest diversion, S.S. Monte Carlo. Ad for the La Playa, 8-23-1932. With the Repeal of Prohibitions, the ships seemed even more popular than ever. The Tango, with Clarence Blazier as her manager, joined the fleet in 1935. With a 15,000 square foot casino she was as large, or larger, than anything in Las Vegas at the time. As Vegas casinos would one day do, patrons were offered complimentary, drinks and entertainment as a come-along. Ex-bootlegger Tony Cornero, having operated a land-based casino, The Meadows, in Las Vegas for a few years, invested in the Tango. The gambling ship operators maintained that they were not breaking any laws on the basis that the ships, which were anchored three miles or more beyond shore in international waters were not subject to US, state or local jurisdiction. In May 1936, a US congressman from California introduced the Collins Bill that would make it illegal for water taxis or any other vessel to transporting passengers from shore to any ship, barge, boat or vessel anchored or standing three or more miles offshore and engaged in a business prohibited by law. Nothing came of it. Lack of jurisdiction didn’t stop city and county authorities from raiding the ships periodically. When those efforts failed to keep the ships closed they went after the Achilles heel of the gambling ship operations: the land-based water taxis. 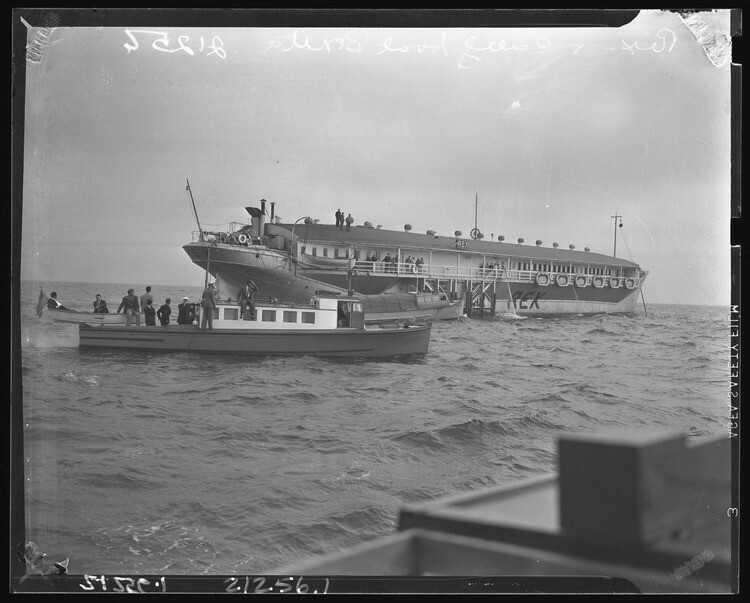 A typical gambling ship water taxi of the 1930s. Though depicted in advertising as glamorous ocean liners, the barges weren’t actually able to travel under their own power; rather they were towed to a location and held at anchor. They were dependent on speedboats to whisk patrons from docks on shore. 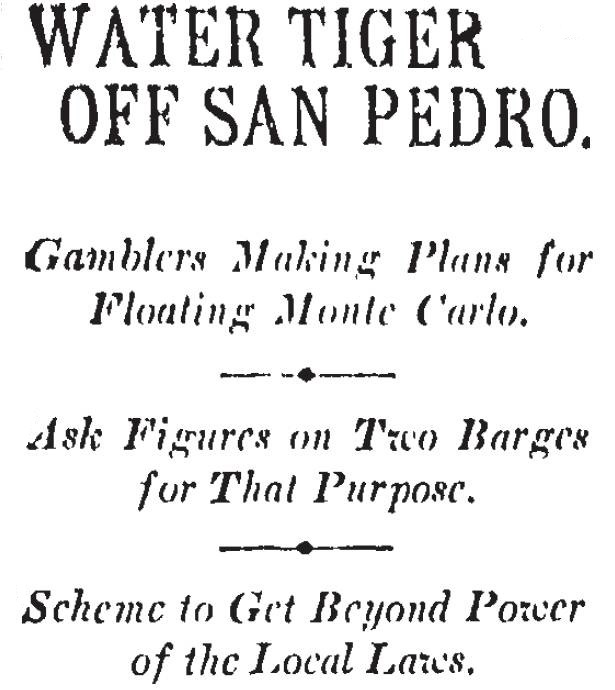 Local officials tried various methods to thwart the water taxis and/or harassing their passengers as a means of crippling the gambling ships but the taxi operators and ship owners found ways to outfox them. 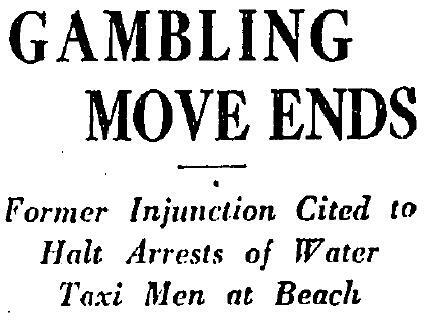 On July 28, 1935, Long Beach police began arresting water taxi operators for violating city ordinance that stipulated persons could not be transported to a place where gambling was conducted. In all 27 taxi operators and crew from speedboats serving the Monte Carlo and the Tango were arrested. The taxis resumed operation however when the Monte Carlo’s owners cited a 1932 injunction against the city’s former police chief that prevented interference with the taxi boats. In October, a US District Court judge ruled on a case brought by the Long Beach police department that the gambling boats were indeed within the State jurisdiction. The Tango up-anchored and moved further out to sea. The Chief of Police ordered his men to ride the taxis out to the Tango to determine whether it was truly beyond the limits of San Pedro Bay, and arrest the taxi operators if violations were found. Accordingly, six persons were arrested under the Long Beach ordinance and a State law prohibiting transporting passengers to gambling places. Both the Tango and the Monte Carlo temporarily suspended gambling operations. When they resumed, police again raided the taxis. The Tango’s owners sought a restraining order. Henry Hoffman, identified as a “one-fourth” owner, argued in Superior Court that the State law cited by Long Beach had been found unconstitutional. The judge sided with the Tango. Long Beach police proceeded to raid the offices of the Tango headquarters, located in the Sovereign Hotel. Records seized reveal that since its launch the Tango operators had distributed 118,322 free dinner tickets and mailed $346,284 advertisements. Eventually the Monte Carlo upped anchor and moved further south. She was wrecked in a storm off the cost of Coronado near San Diego on January 30, 1936. 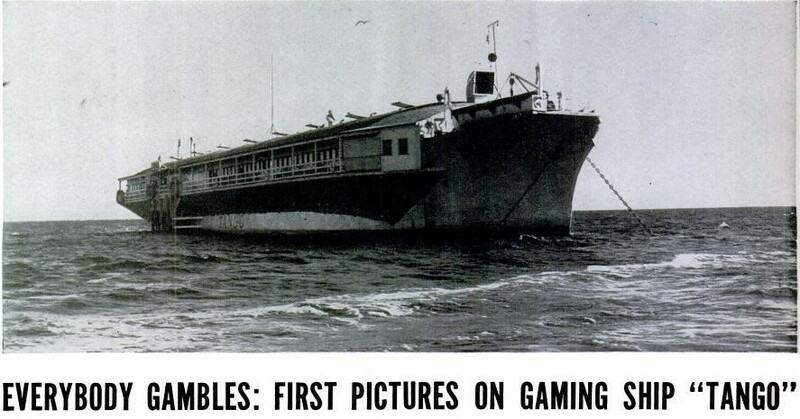 Another gaming ship came along to take the place of the Monte Carlo: the S.S. Caliente, owned by Marion Hicks (later owner of the El Cortez Hotel in Las Vegas) and a syndicate of local gamblers. 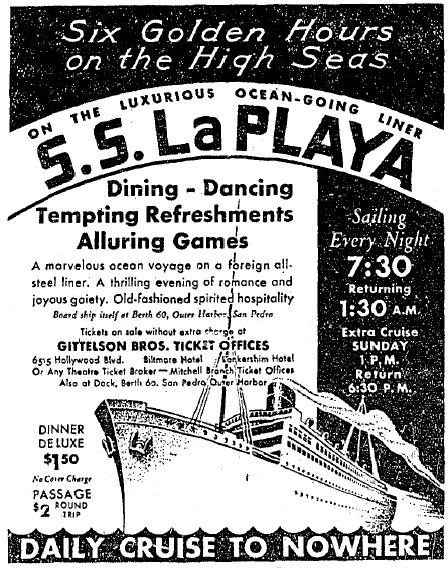 Ad for the new S.S. Caliente, 7-3-1937. Tony, meanwhile, was becoming dissatisfied as a mere partner in the Tango. According to Tony, he and Blazier clashed over management style. Tony wanted to be the boss, he would later tell journalist Florabel Muir for a story about the Tango published in the August 12, 1939 Saturday Evening Post. True or not, he like to say he had lost his stake in the Tango to Blazier in a dice game. In any case, it was widely reported in February 1938 that “A.C. Stralla” (Tony; Stralla was his stepfather’s last name) had purchased the fishing barge Star of Scotland and was converting her into a gambling ship, to be named the S.S. Rex. 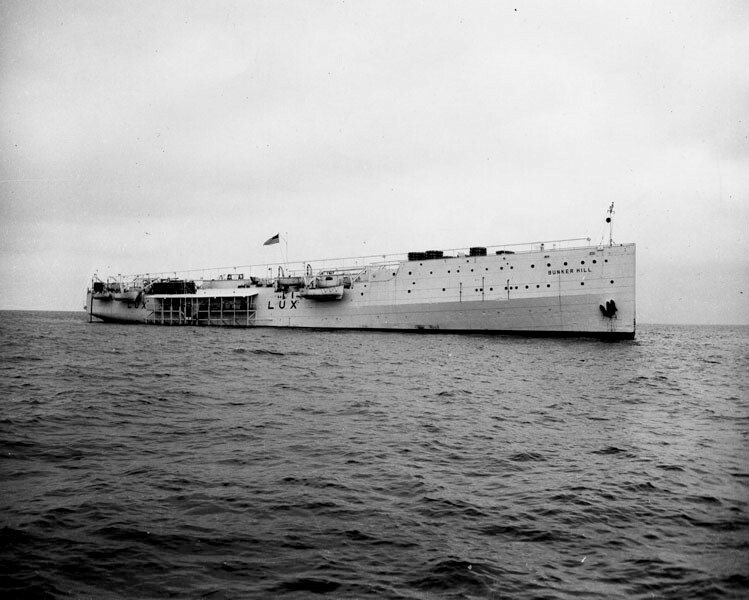 The Kenilworth aka Star of Scotland, hardly recognizable as a barkentine with her masts cut off, being outfitted as the Rex gambling ship in early 1938. LAPL. Like the Johanna Smith II, the Rex started out as a barkentine sailing ship, built in 1887 as the Kenilworth. She was renamed Star of Scotland in 1903 and joined an Alaska cannery fleet before coming to Santa Monica as a fishing barge in 1930. Ad for the Star of Scotland fishing barge, 6-10-1932, later to become the S.S. Rex. 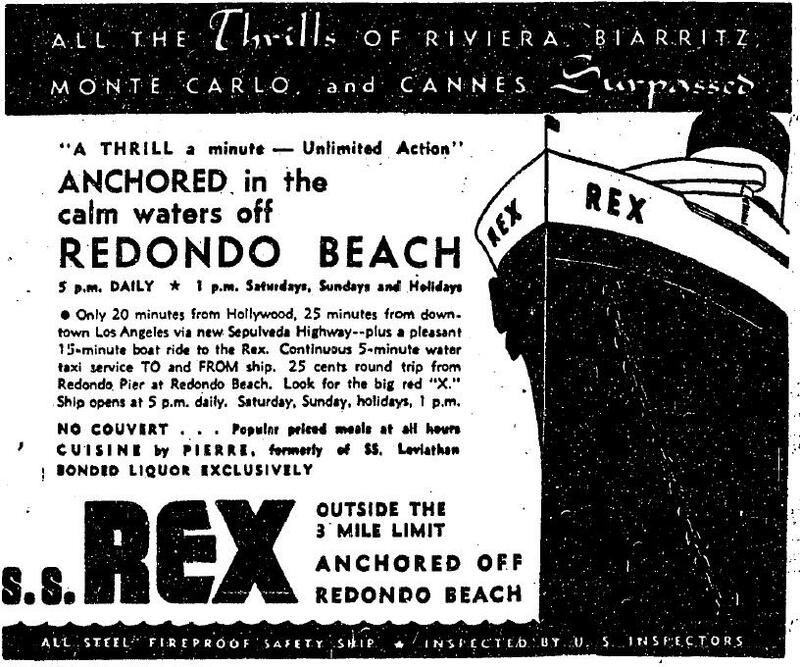 The Rex made her debut, advertised with full-page newspaper ads and skywriting, on May 5, 1938 in the waters of Santa Monica Bay. She was said to have set Tony back $150,000 and cost another $200,000 to refurbish. He would later estimate it cost him about that much a month to operate. According to Muir’s piece in the SEP, wages for his some 325 employees ran around $3000 a day; pit bosses earned $25 a shift, croupiers $15. Women “shills” made $5 a night. The daily gross profit was said to be $10,000-12,000. The Rex was no shrinking violet. A red neon arrow in the parking lot pointed the way to the fast speedboats that made the 12-minute or so ride out to the Rex from Santa Monica pier 24-hours a day. The ship’s steel hull was encircled by red neon. A neon sign blinking REX was mounted on the roof. The 250-ft by 40-ft gambling saloon on the upper deck ran the length of the ship. Paneled in knotty pine, it offered 300 slot machines, a dozen roulette wheels, and a half-dozen dice tables, as well as faro bank, poker, blackjack and chuck-a-luck. A large bar occupied one wall. 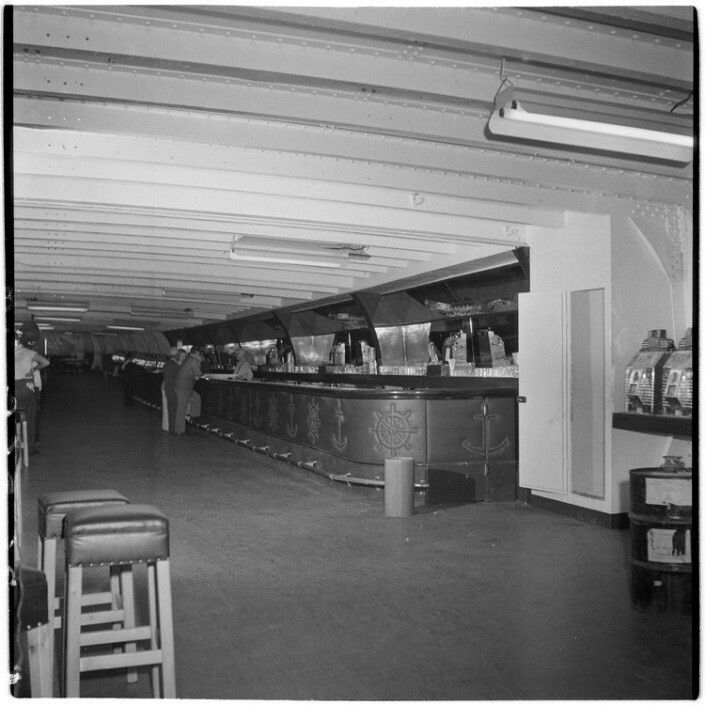 The lower deck contained a bingo parlor that could seat 400, a teeny dance floor, a café whose chef came from the Trocadero, and a pool room offering racing forms and scratch sheets. Some 3000-4000 customers filtered through the Rex on an average night, including high rolling gamblers like Nick “The Greek” Dandolos and Winfield “Winnie” Sheehan and a fair number of movie celebrities. Santa Monica city officials instantly objected to the presence of the pleasure barge and convened to vote on whether to revoke the licenses of the water taxi operators. Then in the wee hours of May 14, 1938, authorities from the L.A. County D.A.’s office, county sheriff deputies and Santa Monica police, asserting that the Rex was not outside the hypothetical 3-mile limit, raided the ship and its taxi pilots. The result was a debacle right out of a pulp fiction. In the end, Tony and 50 ship’s employees were arrested on gambling charges, and 4 more arrested on a far-fetched kidnapping rap, including Tony’s brother Frank. It began with D.A. 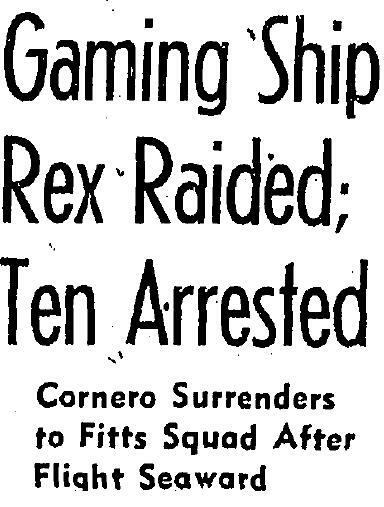 Fitts grandstanding, vowing to shut down the Rex and threatening that he would arrest ever patron seeking transportation to the ship, even if it meant a “24 hour guard on the pier, every day in the week.” The Santa Monica Mayor and the city’s chief of police, who happened to be named Dice, agreed to crack down on the water taxi operation. When the first taxi approached the pier from the Rex with a load of passengers refused a shouted order to dock, one of the officers fired his gun. The taxi then docked and its operators were arrested. The taxis were forbidden to carry any more passengers out to the Rex. D.A. investigator Tom Cavett ordered another taxi to take him out to the Rex; instead it headed for the open sea, later joining up with a fishing boat that took Cavett back to shore. The four men aboard the taxi, Frank Cornero included, were accused of kidnapping. The latter charges were dropped. 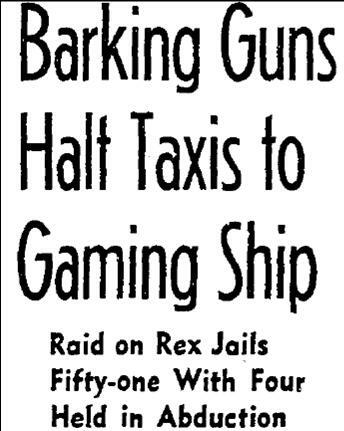 A May 15, 1938 headline from the Los Angeles Times, “Barking Guns Halt Taxis to Gaming Ship,” about a raid & so-called kidnapping involving the Rex. The Rex soon upped anchor and moved to what Tony probably hoped would be friendlier waters off the coast of Redondo Beach. But Contreras followed him there and on July 20, 1938, arrested Tony on a grand jury indictment, charging him with bookmaking after D.A. Fitts insisted to the jury that the Rex was still operating within Santa Monica Bay and therefore was within jurisdiction of the state. While the legalities were sorted out, the Rex continued surpassing the thrills of the Riviera, Biarritz, Monte Carlo and Cannes off the “calm waters” of Redondo Beach, only to be raided once again by Contreras on September 7. Tony and 9 employees were arrested, charged with misdemeanor gambling infractions. Tony didn’t go quietly. He and the crew turned fire hoses on the boat landing alongside the ship, threatening to douse the officers. They relented however, and the officers were allowed to come aboard. Roulette wheels, dice tables and slot machines were seized as evidence. Tony countered by seeking an injunction against the raids, but agreed to tow the ship further out to sea, pending the outcome of the lawsuit brought by Fitts, who maintained the Rex was operating in State waters. Tony and Capt. 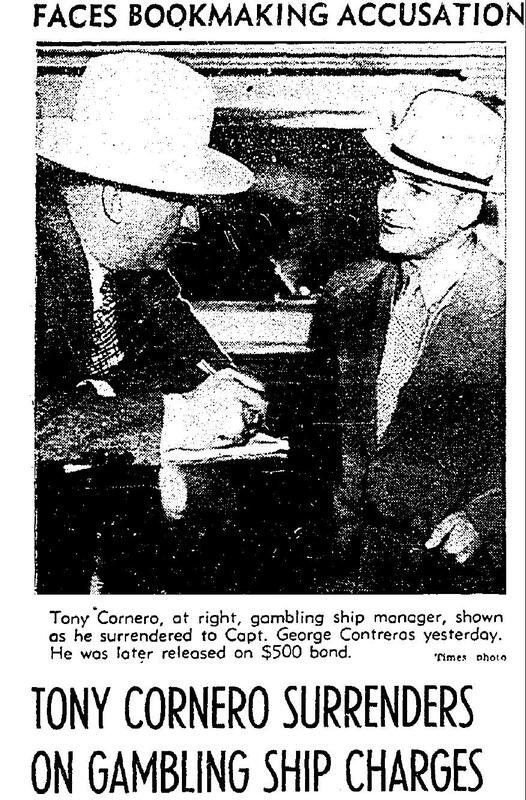 George Contreras of the Sheriff’s office, following Tony’s arrest for bookmaking aboard the Rex on 7-20-1938. 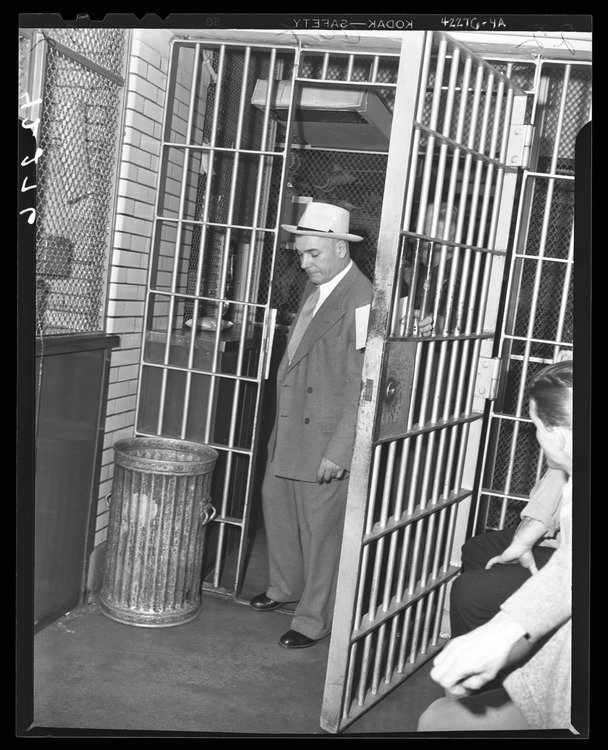 Contreras had a long history with raids of the gambling ships, dating to his time as head of the D.A.’s dry enforcement squad during Prohibition. 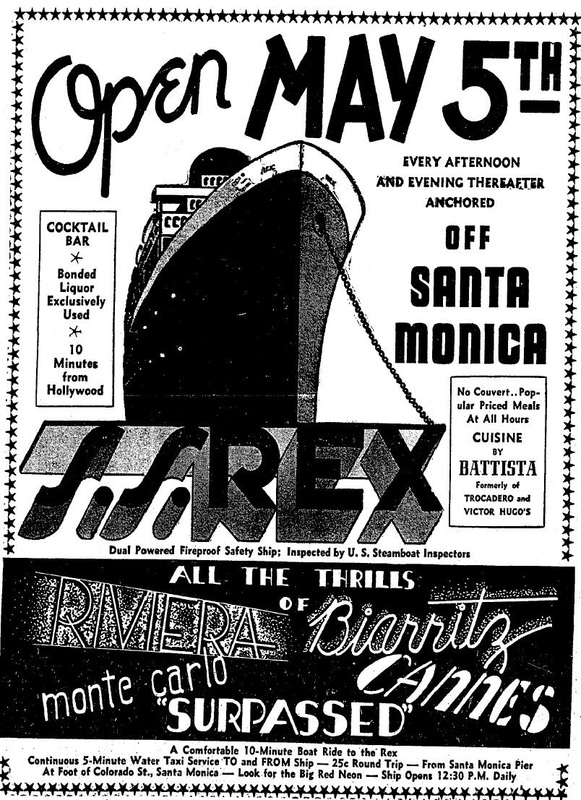 Ad for the S.S. Rex, in the “calm waters” off Redondo Beach, 8-8-1938. The Rex raided once again. 9-8-1938. LA Times. Ten days later the trial opened. Tony and his lawyers battled Fitts on the technical question of whether Santa Monica Bay was in fact a bay or an indentation in the coastline. Tony also maintained that the Rex’s charter had been granted by the state of Nevada and signed on the high seas, and therefore was subject to the laws of Nevada and of the high seas. In the end, the jury was unable to agree. A new trial was set for later that fall, with the case ultimately ending up in the hands of the State Supreme Court. In the meantime, Tony prevailed. The first legal case over whether Santa Monica Bay was a bay or an indent in the coastline ended in a mistrial when the jury was unable to agree. 10-1-1938. LA Times. 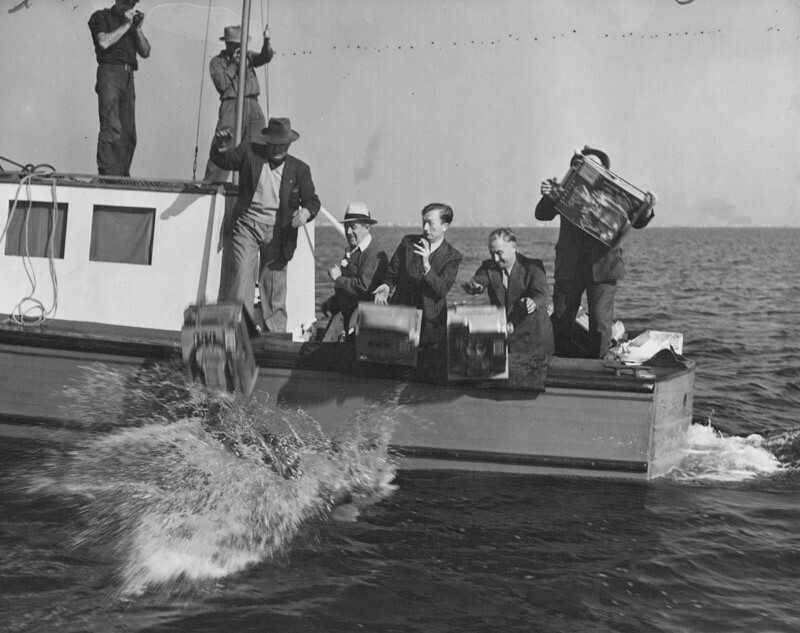 In March 1939, Tony tried to move the Rex back Santa Monica. 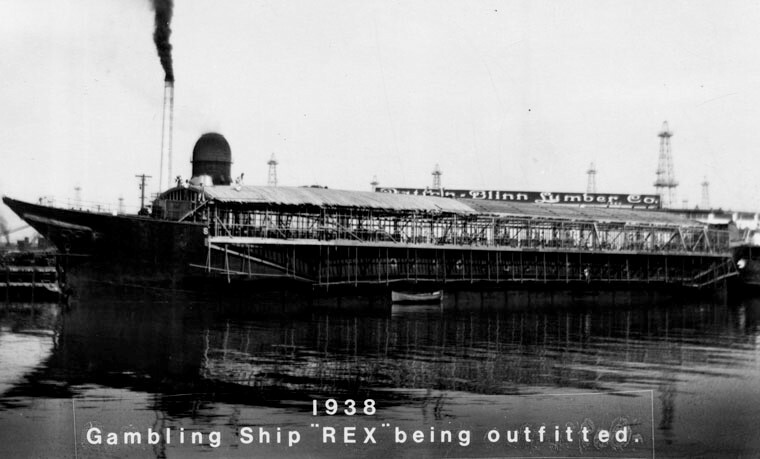 A group of local ministers urged the City Council to deny the ship landing privileges on the city pier, but were unsuccessful and the Rex reopened in her original location for the summer season. 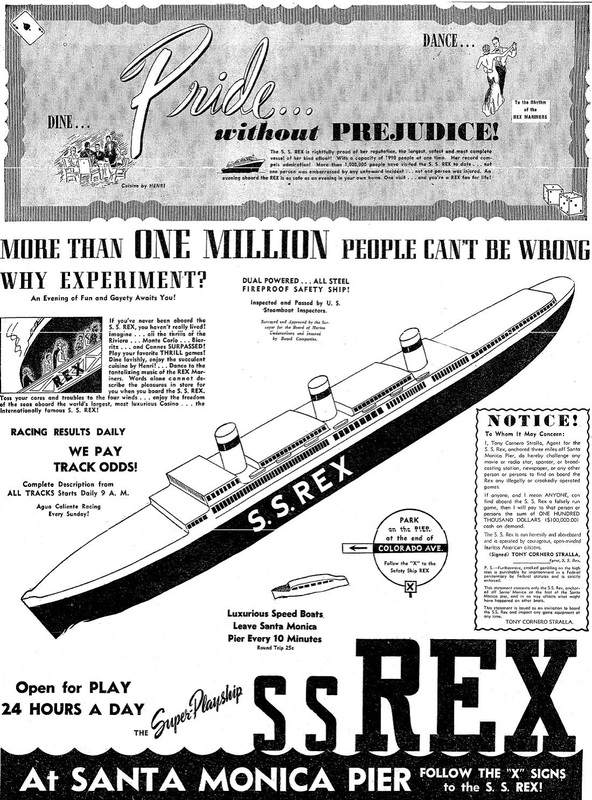 “Pride without Prejudice.” Ad for the Rex 6-6-1939, back off the coast of Santa Monica. Nice Jane Austen reference, Tony! Forces were conspiring, however, to try to bring the gambling ship era to a close, though their popularity in Los Angeles was at its height. There were now four ships operating: the Rex and the Texas in Santa Monica; the Tango and the Mr. Baker (formerly the Caliente, aka Showboat) in Long Beach. Ad for the S.S. Tango, now Tony’s competition, 5-30-1939. The Tango, profiled in Life magazine, 1-10-1938. In September 1938, Los Angeles had recalled its corrupt mayor Frank Shaw and installed Fletcher Bowron as his replacement. Bowron ran on a reform ticket, promising to clean up City Hall and crack down on illegal gambling and vice. With help from Tony on the identification effort, he soon purged the police department of individuals believed to be on the payroll of the underworld. In the summer of 1939, there were reports of prominent gamblers like Guy McAfee pulling up stakes and leaving town. But they didn’t go without a fight. The underworld had moles within the mayor’s office, who revealed and exploited Bowron’s secret meeting with Tony. One of the purged officers asserted that Tony had donated $14,000 to the mayor’s campaign. At the same time, in the summer of 1939 both the US and State attorney generals were vowing to shut down the West Coast gambling ships once and for all. In D.C. a Senate Judiciary Committee as formed to study a bill that, like the failed Collins Bill three years earlier, would make it illegal to transport passengers to gambling vessels. With the Rex case still pending in State Supreme court, on August 3, 1939, Earl Warren, as California’s new Attorney General, led simultaneous raids on the four gambling ships, aided by the Los Angeles County D.A.’s office, sheriff’s deputies and local police. In Long Beach, the Mt. Baker and Tango surrendered without incident, as did the Texas in Santa Monica. At the Rex, however, the authorities were once again met with firehoses. Tony called down from the ship’s rail that the would-be raiders were a “lousy bunch of pirates.” The Rex held them off for the better part of a week. On the ninth day, Tony whom the papers now nicknamed “The Admiral,” surrendered. “I need a haircut,” he shrugged. The standoff was dubbed “The Battle of Santa Monica Bay.” The raiding parties made a big show of tossing slot machines and other gambling paraphernalia from the Rex into the sea. On November 21, the California Supreme Court ruled that the Rex was in California Territorial waters. Reluctantly, Tony gave up the ship. The Tango and the Rex were pressed into service as defense ships just prior to the US entry into World War II. 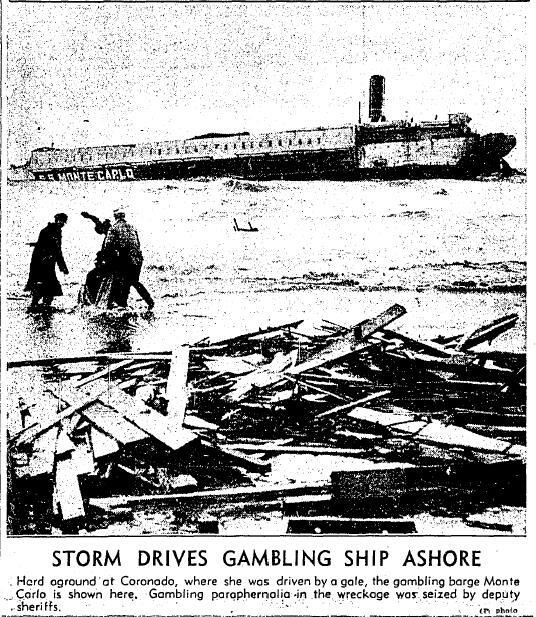 The Texas, which had been operating as a fishing barge, sank off Santa Monica in storm in January 1942, causing the death of one sailor aboard. Tony countered that it would be no more illegal to visit his floating casino than to drive to Las Vegas. Guy McAfee, Tutor Scherer and Farmer Page had since relocated to Las Vegas and were operating successful legal casinos there. Tony himself had given Las Vegas another shot in 1945, opening a short-lived casino on the ground floor of the Apache Hotel which he named the S.S. Rex. The Las Vegas casino operators protested that Tony’s gambling ship would hurt their legitimate businesses by siphoning off the Los Angeles-Hollywood trade. Oddly however, a 1948 lawsuit suggested that Tony’s project in fact had a lot of Las Vegas-based backers. The Aroostook arrived in post at Long Beach from Puget Sound a couple weeks later, sheared of her superstructure and masts. As the refurbishment began, it was Tony’s stockpile of lumber for the project drew that drew renewed ire. In March 1946, the postwar Civilian Production Administration had put a freeze on non-essential construction in order to conserve limited resources such as lumber and focus on housing for veterans. California’s new US Senator William Knowland, as a war veteran himself, was outraged to hear of Tony using much needed supplies for a gambling ship and vowed to take action. For in fact, there was still no federal law outlawing the gambling ship operations. Knowland duly introduced his anti-gambling ship legislation on May 15, 1946. Tony blasted back at what he called “peanut politicians,” insisting he had used no essential materials in the rehab of his ship, which he said would be called the Lux and was set to open in June. The opening was ultimately pushed back to August. Final touches being put on Tony’s new gambling ship, 7-7-1946. 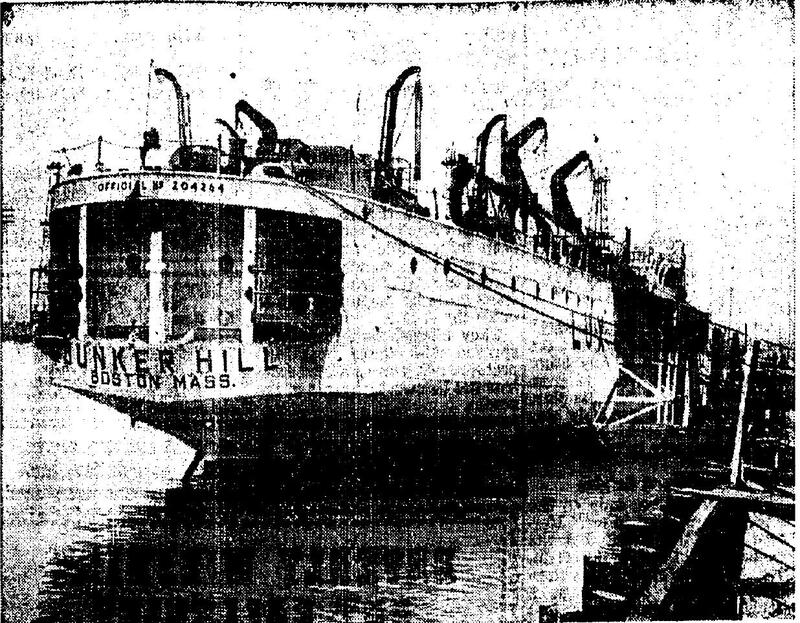 Her official registered name was Bunker Hill but she was known as the S.S. Lux. On August 6, with the Lux set to open at 5pm that evening, Tony challenged that any actions to interfere would be treated as piracy. A.G Kenny backed off, stating “the policy of our office is to let local officials cope with local situations if they possibly can.” D.A. Howser issued a tepid response, threatening vaguely that his office might go after the taxi fleet operation, adding that they could do nothing unless or until the ship was actually in operation as a gambling place. 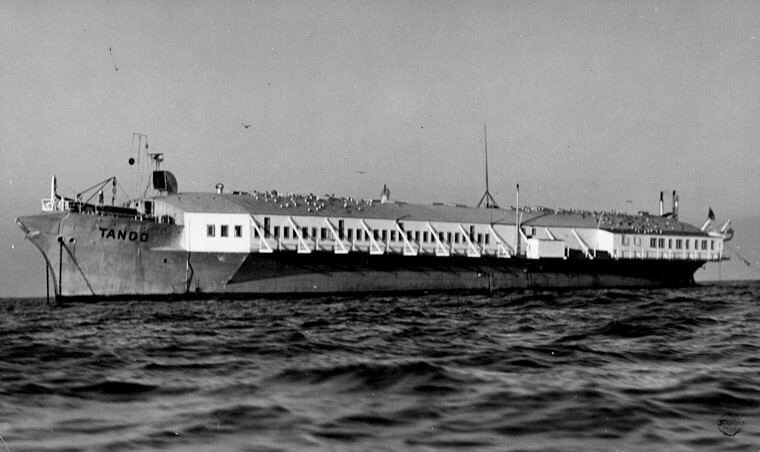 The Lux, touted as the “$1,000,000 gambling ship,” opened as scheduled off the coast of Long Beach, reaching capacity crowds of 3600 by 8pm. D.A. and sheriff’s representatives were present “gathering evidence” but took no action. Finally on the evening of August 8, D.A. Howser and local police made their move, arresting Tony and 5 employees on gambling charges. They also impounded the water taxis, leaving some 1500 passengers stranded aboard the Lux for several hours. It was later revealed that the ship had turned a profit of $173,000 +/- in its initial three nights of operation. While the cases were in litigation, Tony reopened the Lux on August 31. The water taxi crews were promptly arrested by local police but Tony was ready for them. Another brigade of taxi operators appeared to replace those who were arrested. Passengers requested to be taken to Catalina Island; the taxi operators replied “All right, the fare will be $50, but we have one stop to make on the way.” Police monitoring the situation observed that “to their knowledge” no passengers actually made to Catalina. The Lux remained open through mid-September even as Tony went on trial on the gambling charges. On September 15, a Long Beach municipal court judge ruled that the ship was outside California’s jurisdiction. Then, on September 17, the US Coast Guard, acting on the authority of the US Attorney General, stepped in, seizing the Lux in the name of the federal government and had her towed toward port, customers still aboard. The Lux was licensed for coastwise trade; as she was violating that license by operating as a gambling barge, the federal government maintained, it had the right to seize her. Tony’s lawyer San Rummel sought an injunction to allow gambling operations to resume while the case was decided. In November, the federal court upheld the Coast Guard’s actions. On April 27, 1948, President Harry Truman signed the Knowland Bill into law, making it a federal crime to operate offshore gambling ships or transport patrons from American territory to any gambling vessel. The US Coast Guard and Justice Department had the authority to seize any such ships operating illegally as well as the speedboats or airplanes used for ship-to-shore transportation. The Gambling Ship era was over. For a while. Top image: Tony on the Lux, 1946. LAPL. 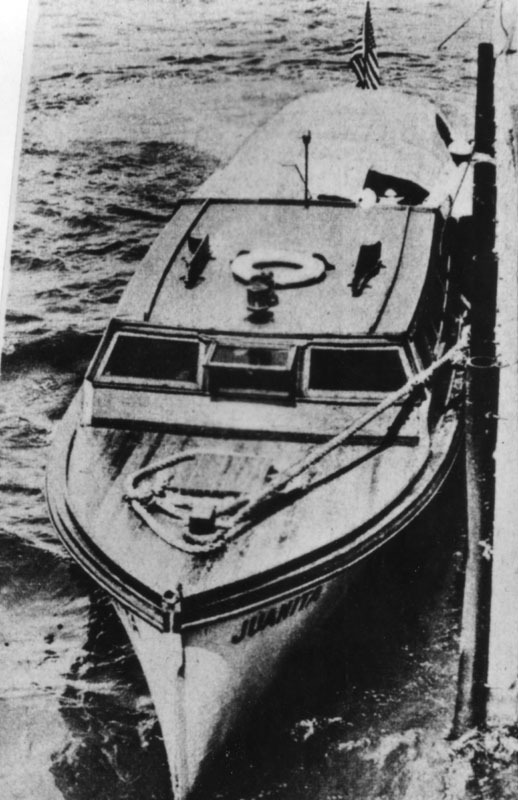 Jimmy Fox, a henchman of Tony’s in the 1920s during the bootlegger’s wars, was identified as a part owner of the Johanna Smith II at the time of a shooting incident in July 1933; this was likely false. In Florabel Muir’s August 12, 1939 article on Tony and the Rex for The Saturday Evening Post she states, seemingly quoting Tony, that he got his start in gambling ships with the Tango in 1929. 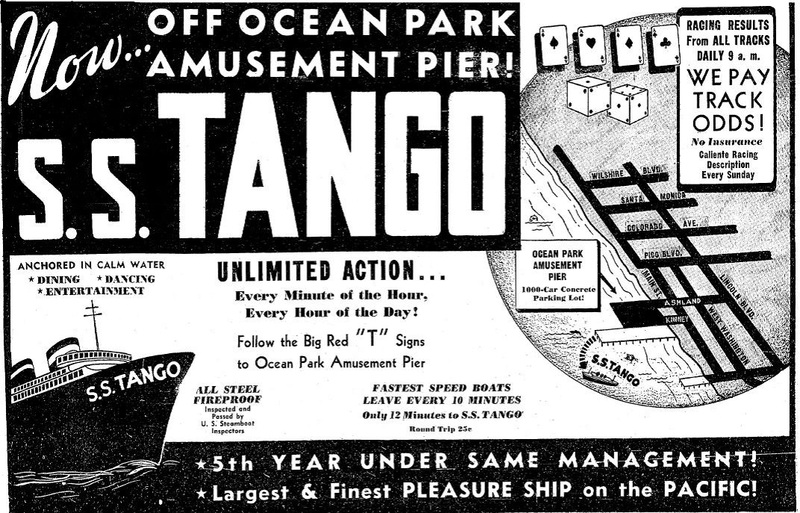 The Tango didn’t launch until 1935. There were rumors that Benjamin “Bugsy” Siegel was an investor in the Rex. 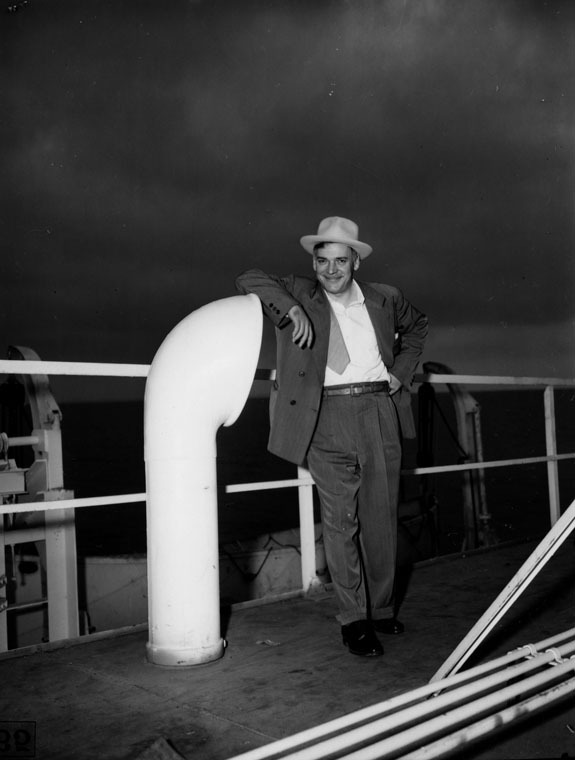 Questioned by police in August 1940 in connection with the “Big Greenie” murder case, Siegel claimed he had passed on the chance to invest in the ship, although he admitted “loaning” an “acquaintance,” Benjamin “Whitey” Krakower, $15,000 for that same purpose. A tax lawsuit involving the Rex does reveal Ben “Krakour” as an investor; Siegel’s name does not appear. But investigators that August did find checks made out to Tony from Siegel totaling $18,000. Siegel’s actor pal George Raft would also recount to his biographer how Siegel has asked him for a cash loan of $20,000 to invest in the ship. After the Rex shut down, she briefly became the Star of Scotland again before being commissioned into war service. The casino today operates as Binion’s. Some sources have suggested that a nautical-themed light fixture in the Horseshoe is a relic from the S.S. Rex. It isn’t. One of several motives offered for a failed assassination attempt on Tony in February 1948 was that Las Vegas gamblers had actually invested in the Lux, and had Tony shot because profits fell considerably short of what he had promised. Bugsy Siegel, by that time the victim himself of a successful execution in June 1947, is sometimes said to have been one such investor, but this is unproved. There’s some indication that Rummel’s injunction to was successful, as arrests of taxi operators continued up to at least October 1, 1946.